Cover of Hegel's Saltman, exhibition catalogue. Designed with Jason Logan. Event invitation for ATypI Vancouver. Promotional booklet for the Bill Reid Foundation, as part of their campaign to create a permanent home for Bill Reid's work. 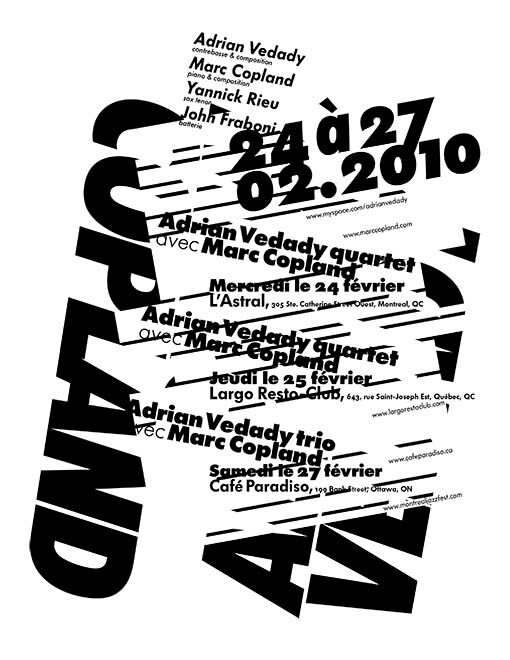 Concert poster for the jazz musicians Marc Copland and Adrian Vedaddy. 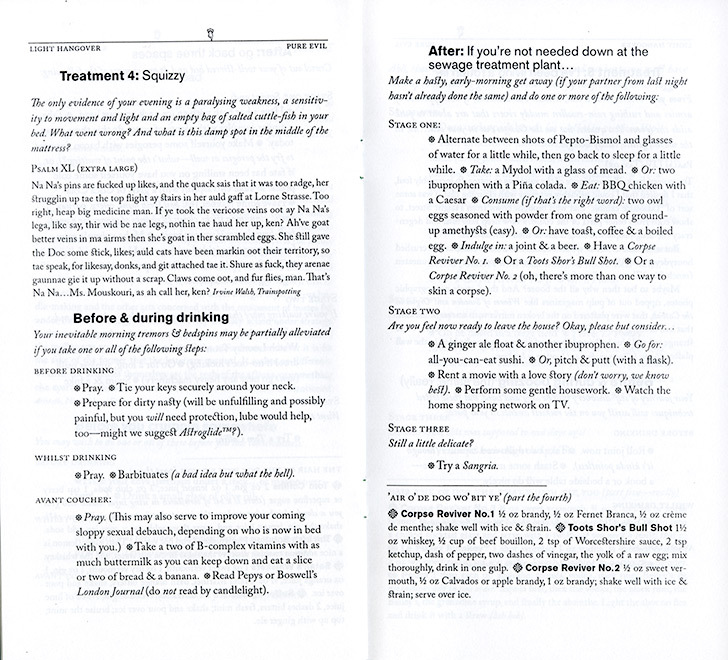 Humorous booklet of hangover cures, with Bob Ellingston. Edition of 50. CD single for Veda Hille. CD Design for Adrian Vedady. Photography by Richmond Lam. Exhibition catalogue for Made at Home, Toronto. 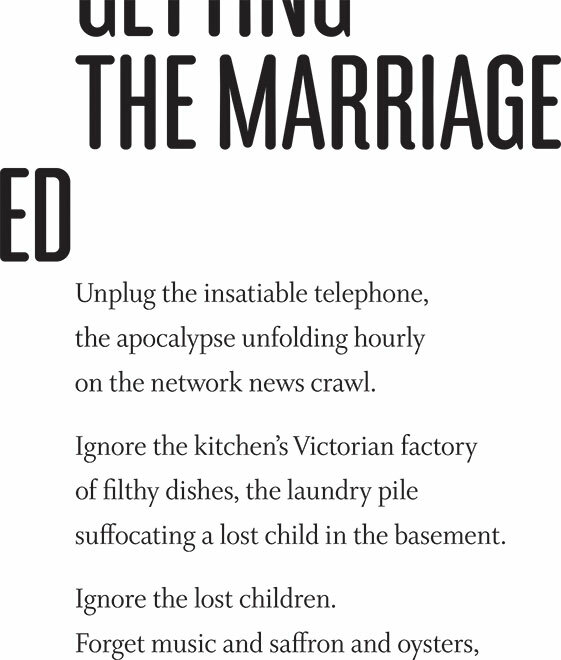 Broadsheet for the limited edition of Michael Crummey's Under the Keel. Letterpress, printed at Coach House, Toronto. Font catalogue for Ross Mill's typeface Plantagenet. If you own a Mac, a version of this face is likely in your system as Plantagenet Cherokee. 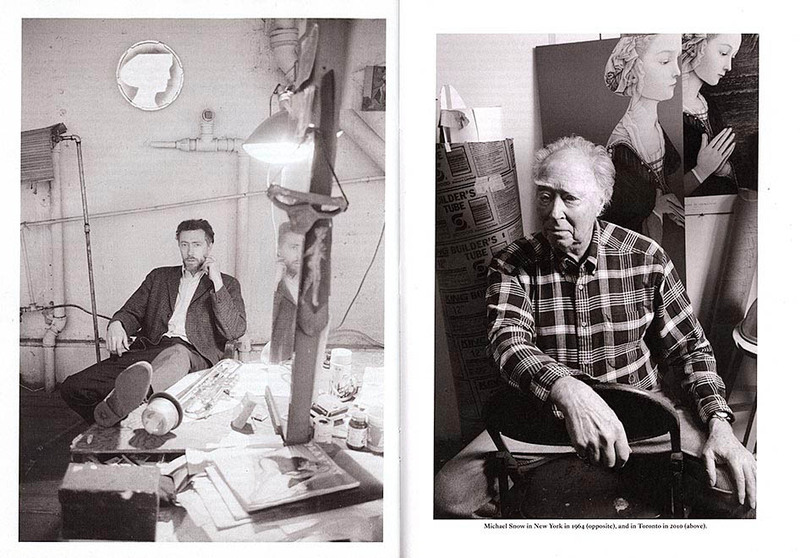 Double portrait of Michael Snow, both by John Reeves. Animated .gif for the Walrus' tablet edition. The illustration is a nod to the lost neon splendors of Vancouver, and the landscape is based on Granville Street from the 1940s, looking south from Hastings. 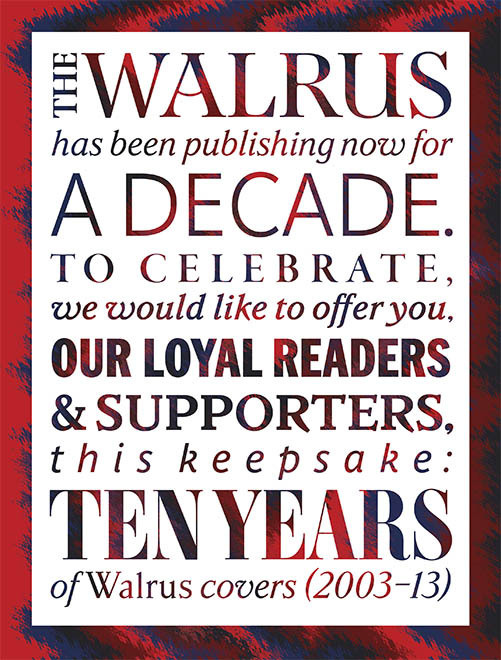 Cover poster for the tenth anniversary of the Walrus (2013). 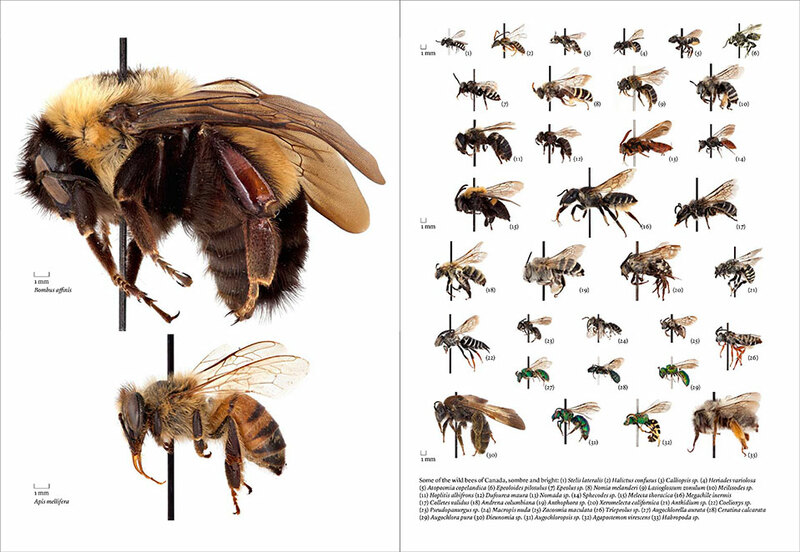 Layout spread from a Walrus story on the disappearance of bees.